The first flush is an exciting time for us in the tea fields. We love to witness the undeniable passing of winter’s quiet with the sudden burst of vitality indicative of spring. 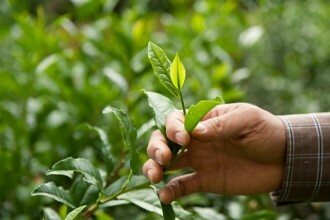 In Japan, this first tea is called shincha, or new tea crop. In Hawaii, we call it the ‘first flush’ because when it happens in January or February, it is quite debatable whether this is actually winter or spring. 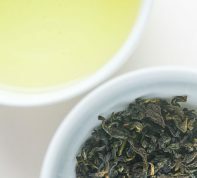 Although harvesting customs are practiced differently in China and Japan, the two world’s two most prolific green tea-producing countries, history shows strong traditions and considerations for the path that tea harvests follow. In China for example, new leafy growth is picked at a very young stage. This practice is a historical remnant of tea preferences of emperors, who would come through tea fields seeking a premium, rare tea, concentrated with the potential for growth. Tea cultivators responded by choosing to harvest only the smallest very light green tips resulting in a harvest from early spring, called mingqing. After mingqing (March 20, in 2016) comes the qingming (April 5 in 2016) harvest period when slightly larger tips are used. During Japan’s season of the first flush, there are multiple harvests as set forth by the Sekki lunar calendar. New growth is allowed to elongate before picking, allowing more leaves on the branch before harvest. In Japan, the ‘gold standard’ of traditional tea defines the optimal harvest to be exactly the 88th day from the beginning of spring, in 2016 May 2nd. 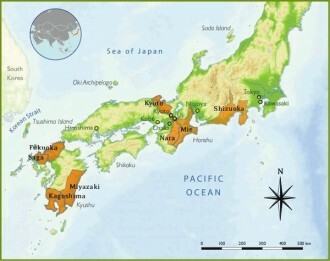 Japanese tea cultivators consider the harvest of only the very tips of tea to be lacking in the optimal balance between nutrients and flavor, which also demonstrates the emphasis that Japanese place on longevity and consumption of tea for best health. Because of longer colder winters, areas of high latitude or elevation flush later than their lower counterparts. 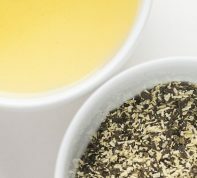 Cooler regions miss the opportunity to offer the first teas of the year, but they generate high demand because the high quality of these teas and the adherence to traditional or ‘gold standard’ harvest timing. In Japan, the early season of first flush, hashiri shincha, starts on the islands south of Kagoshima at the beginning of April. Gold standard harvests won’t be available until the 88th day, another long month later. Also in another area of diverse bioregions, Hawaii, elevation plays a large role in determining climate. At sea level, depending on field maintenance, tea plants may flush year round. 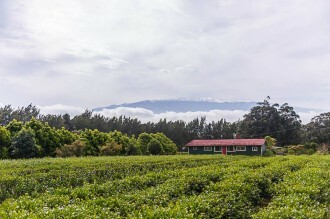 At 2000 feet in elevation on the slopes of sometimes snowy, dormant volcano Mauna Kea, Mauna Kea Tea produces first flushes in February and March. Farmer Taka Ino notes “We strive to follow a ‘gold standard’ pattern of harvesting but prefer to identify patterns, signs, and signals from nature in our own bioregion.” Deep respect and appreciation for nature guide the harvest season from first flush throughout the harvest seasons. In early February, when sunlight becomes brighter day by day, the approach of spring can be clearly felt. On Japan’s 24 Sekki calendar, a traditional farmer’s almanac, this day of risshun is considered the beginning of spring. Also the coldest time of the year, the name can be misleading.From this point, the air starts to warm and dormant tea plants finally show signs of re-growth. Other signs in nature that show the arrival of spring are the timely arrivals of special buds and blooms. Plum flowers indicate that the air is warm enough for the tiny spring tips of tea plants to emerge. In a few months, cherry blossoms will begin to flower. Growth of the tea plant is accelerating towards the end of April, and at hachiju hachiya, the 88th day after the Sekki beginning of spring, new growth of persimmon leaves begins. So does the Japanese tea harvest. As new persimmon leaves unfurl, the sparrows that sing and dance between the branches become less and less visible. The air coming through the tea fields is crisp and persistent, yet gentle. Spring is almost over; summer is getting close, and the tea harvest, and agricultural community is in full swing. In Hawaii as well, we wait until we see signs in nature and feel changes in the air. We watch how plants are responding, observing the tea plants patiently, waiting for the best signs of spring. The first flush reminds us to tune in to all our senses again. It reminds us to slow down, to learn from the listening, re-connecting to the annual cycles of nature. The year contains 24 sekki, or half-month segments relating to moon cycles. Each individual sekki is a period of approximately 15 – 16 days. Grain rain. Spring rain helps grain grow. 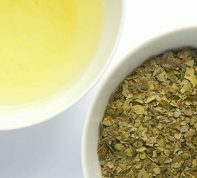 This story is reflective of past trends and personal experience and it is important to note that trends in tea continue to change.